watercolors and acrylic paintings are sold online through major retailers. 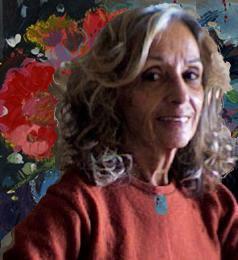 Her influences include Matisse, Kandinsky, Monet, and Van Gogh. Sheila grew up in the New York area, and was painting by the time she started grade school. Her love of nature, color and animals has been reflected in her art, which ranges from floral to landscapes, watercolor to acrylic. She earned her B.A. Degree in Fine Art from Sonoma State University in California. Her work can be seen in galleries in Santa Fe and Taos, NM and she has exhibited her art in San Francisco and New York City. Her paintings are found in many private and corporate collections. Sheila's paintings are part of the permanent collection of the Marietta Museum of Art & Whimsy in Sarasota, Florida. She currently lives in Western Florida, where she paints, writes and does illustration. She is also inspired by contemporary and abstract art.